Experiment with your photo looks however you want. Want to try a dramatic eye color in your photo but don’t have the editing know-how? You don’t need years of experience to master the process and get stunning results with PhotoWorks. A state-of-the-art adjustment brush makes quick selections so you can brighten eyes, sharpen lashes, and play with color options until you find the perfect fit. 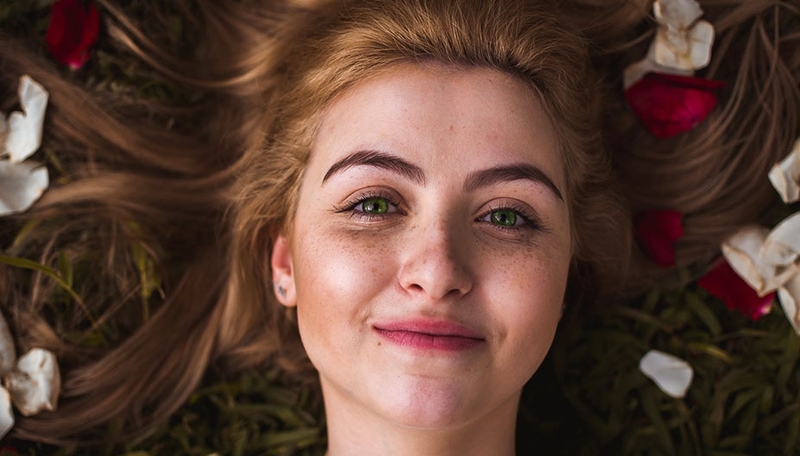 Changing eye color in pictures is now as easy as 1, 2, 3! PhotoWorks is not only the perfect photo editor for eyes, it also works wonders for teeth and skin. Powerful smart tools apply realistic virtual make-up, whiten teeth, and erase blemishes from photos in a few clicks. Facial recognition targets specific features to adjust coloring or add a pop of contrast. Get your free trial version of PhotoWorks to experience state-of-the-art sharpening and so much more! Are you spending too much time fixing lighting and balancing color in your picture editor? PhotoWorks’ revolutionary Portrait Magic tool corrects glare, smoothes problem skin, and adjusts coloring in one easy click of your mouse. Choose from a variety of smart filters to make everyday snapshots magazine-worthy in seconds. Liven up your portrait shots with PhotoWorks!